Right now, my email inbox has nearly 1,500 unread emails. Does that sound like you? If you feel overwhelmed by the backlog in your inbox, you're not alone. Too often, important company information and communication is lost to the black hole that is email — and the clutter is driving employee stress levels through the roof. If that weren't enough, The McKinsey Global Institute found that the average employee spends 28 percent of the workweek reading and responding to email. That's about 13 hours a week spent on low-value activities, sapping company productivity and revenue. Don't worry. Email isn't dead — but the days of drowning in your inbox are. With easier, more tailored communication channels available, such as team messaging tools, your team can stay afloat. Let's dive into some simple strategies for reworking your communication channels and significantly reducing email clutter. We're not suggesting you do away with email entirely. Certain communication is still ideal through email. If decisions need to be thought out thoroughly or require a longer response, such as those regarding content creation or strategy development, email works perfectly, and it will always have its own niche in business. When I'm brainstorming, it helps to have a handful of my coworkers by my side; bouncing ideas back and forth is always going to be easier in-person than through email. One of the areas where I've found emails to be particularly useful is for Go-To-Market strategy creation. In this age of real-time communication, it is tempting to make core strategy decisions over real-time chat. However, strategy decisions ought to be researched, thought over and discussed — all of which seem to work in favor of email, which doesn't have a stringent time constraint. On the other hand, I do find that some conversations happen more effectively through other communication channels. For example, double-checking the due date of a coworker's project might work best through a quick team messaging system. Team messaging tools are great for when you need answers fast; if a salesperson in the field needs information from an in-office coworker, they can get it immediately through chat. Different communication channels, such as email, team messaging and video conferencing, are ideal for different purposes. 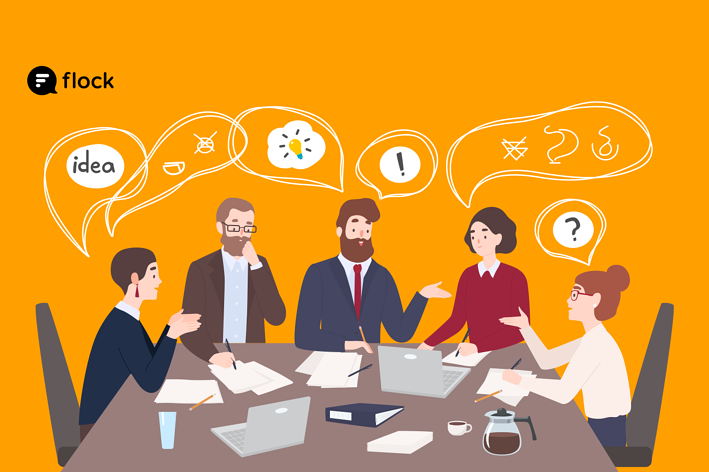 Once you understand the types of conversations your employees have on a day-to-day basis, encourage them to think about which communication channel would be most effective for having those conversations. By branching out from email every once in a while, employees can significantly reduce the clutter in their inboxes. In particular, make sure you offer communication channels that allow for cross-functional coordination. At Flock, our cross-functional growth team includes people from product development, sales, marketing, design and more — and communicating over email alone would cause confusion and time delays. By using a team messaging system for important conversations, we ensure the entire team is synchronized and up-to-date. We're able to collaborate quickly, clearly and effectively, even across multiple departments or locations. Team messaging systems have made a huge difference in the amount of email clutter that builds up and the amount of time and effort saved on big projects. Communicating across phone, email and in-person meetings means that information is scattered across multiple channels and difficult to find. Most email platforms don't offer many integrations, so team members may get frustrated trying to find past conversations for context. I know I've wasted an exorbitant amount of time searching for relevant information buried in my email inbox — and there's nothing more annoying than having to re-send documents I already sent weeks ago. With a centralized information repository, every conversation is kept in one place, making it incredibly easy to search for and find the information you need. By funneling relevant information into one organized and easily-accessible place, your team can work faster and more efficiently. Team messaging solutions, for example, have doubled up as central information repositories thanks to their ability to integrate different sources. If that weren't enough, team messaging systems have the added benefit of not having to transfer information in the first place; if you have the entire conversation within the e-messaging system, every detail of the conversation is saved there for future reference. 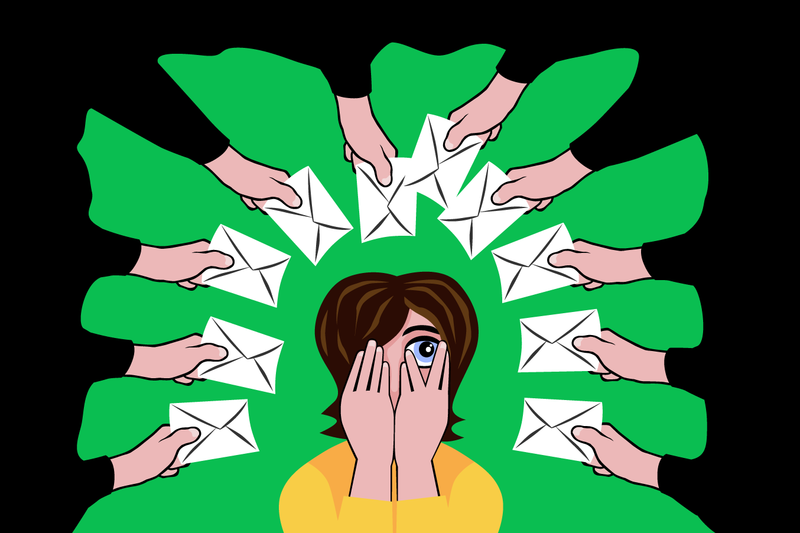 Everyone's gone through the stressful experience of sending an email and never receiving a reply: Did I send it to the right person? Did it get buried in their inbox? Are they ignoring me? I've experienced the unlucky mess that happens from sending important documents and somehow ending up in the spam folder — only to be found weeks later after major project delays. With these delays and miscommunications, it's difficult to ensure that everyone's up to speed on important information, major decisions and individual responsibilities. In certain communication channels, double-checking with your team can be an inconvenient, cumbersome and annoying process. Rather than requiring fifteen different employees to reply "got it!" to one email, use a communication channel with read receipt functionality, like a team messaging system, to ensure important messages are sent, delivered and received without slowing down your team. Some communication channels, such as e-messaging, allow employees to react to messages quickly and easily. Even something as quick and simple as a thumbs-up emoji can communicate to the rest of the team: Yes, I got this information. Yes, I agree. Yes, I know what to do moving forward. It's clear that email overload is impacting the mental health, productivity and ROI of our employees. With a better communication channel, such as a team messaging system like Flock, you can significantly reduce the negative impact that email has on your employees. Team messaging tools reduce the strain on your email inbox by giving you more flexibility in your conversations, a central place to store information and an easier way to ensure coworkers have received important messages. Considering setting up a messaging app for your team? Check out seven points you must factor in before that. In this always-on culture, the time pressure on priority work actions is ever-increasing. To keep up, employees have to be quick, agile and efficient. But they're only as fast as their current communication channels. Empower your employees to succeed by prioritizing certain conversations, implementing centralized communication solutions for different conversations and filtering information through the right channels, at the right time.